Create effortless style in your coastal office with the Cape Sea Life Wall Art - Set of 2. 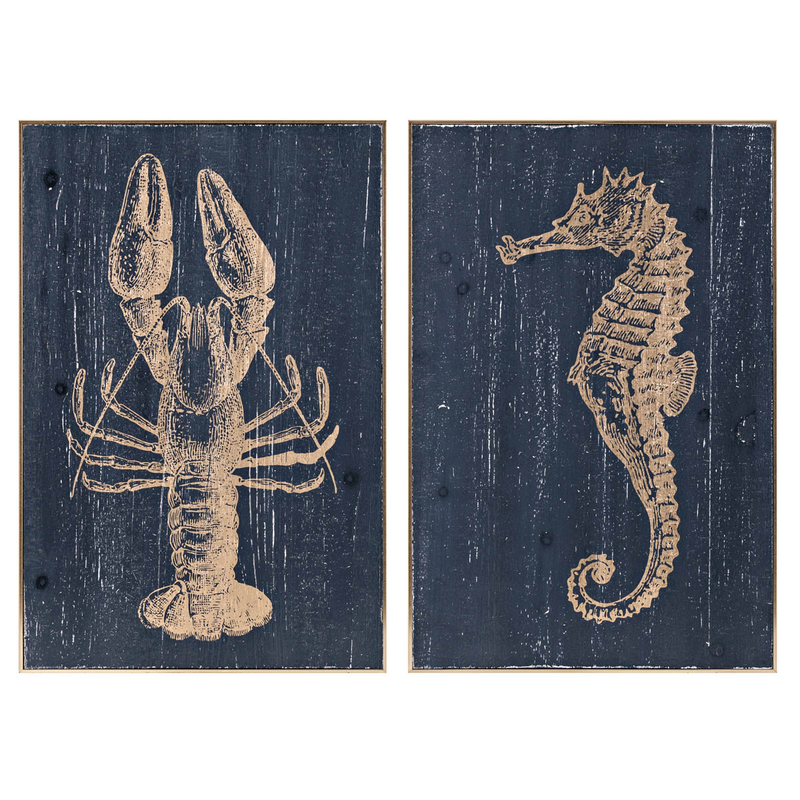 This beach wall art is made with detailed lobster and seahorse illustrations on distressed navy blue backgrounds encased in rectangular wooden frames. 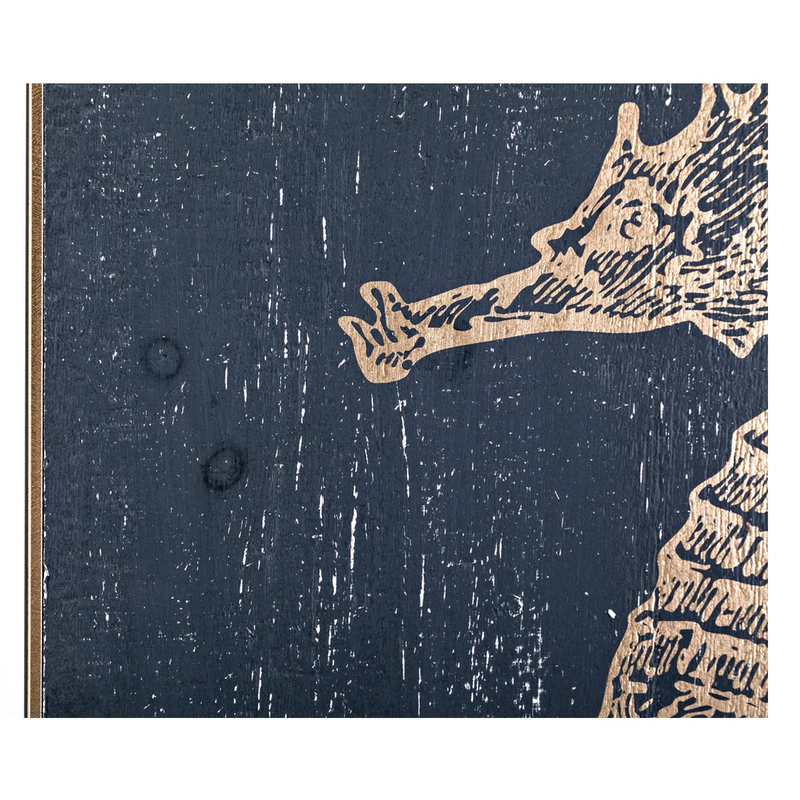 For even more items, we encourage you to spend some time to shop our thorough array of beach wall art at Bella Coastal Decor now.